FLORAL FLORAL Maxine women wide width platform high heeled ankle strap dress sandal is a must-have for your special occasion collection. 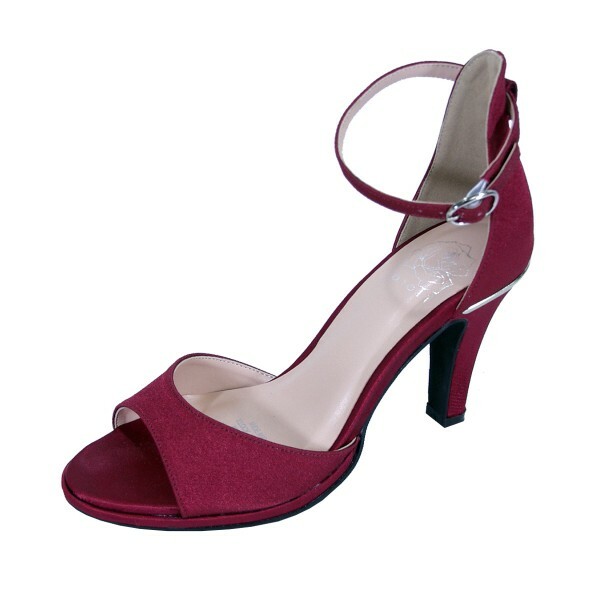 This ladies 3" high heel with a 0.25” platform sandal features a satin fabric upper along with an extra cushioned insole. Its outsole is made of durable and lightweight rubber materials for maximum surface grip with an adjustable buckle for a perfect custom fit to give you full support while on your dancing feet.